Disclosure: Megan at Housewife On A Mission received the following items mentioned in this post at no cost to facilitate her review. All opinions are her own. 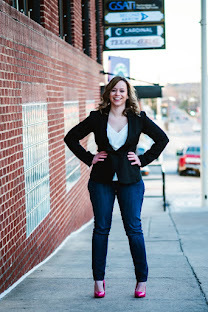 Have you heard of the clothing girl's company Matilda Jane Clothing? They have the cutest girls clothing! 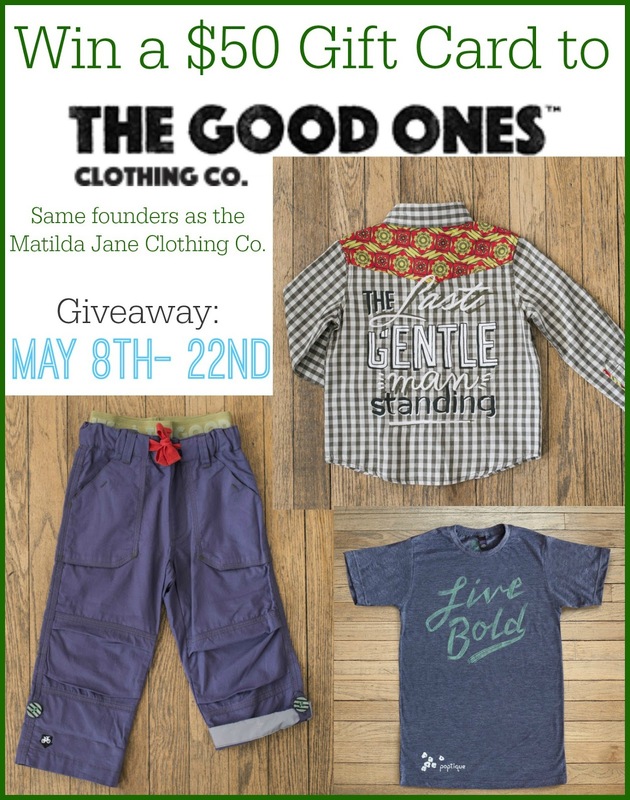 Recently the founder of Matilda Jane Clothing launched a boys clothing company called The Good Ones Co. 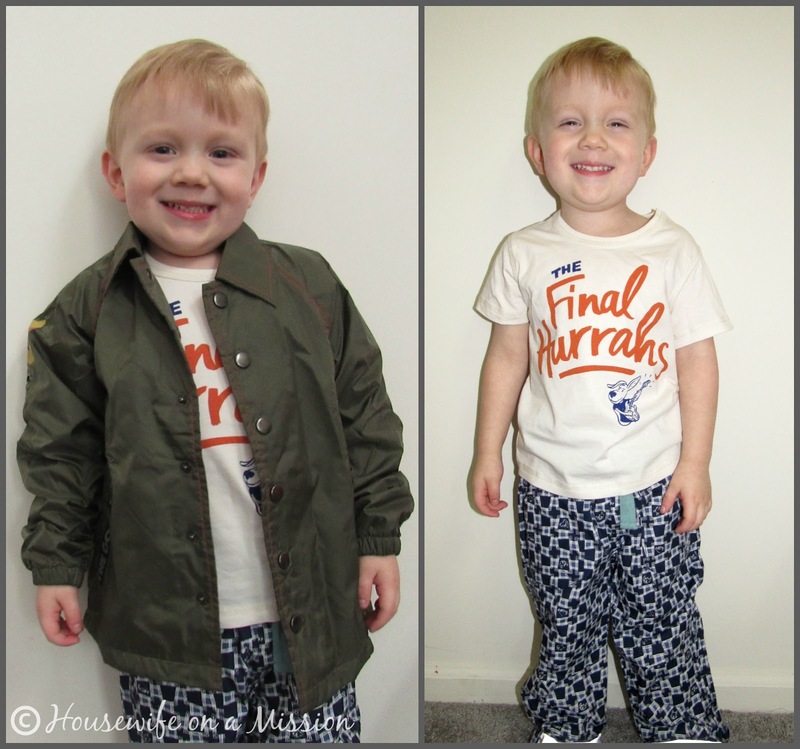 I was recently sent some of their boys clothing items to review with my son and I'm so excited to show you what we got, as well as properly introduce you to The Good Ones. 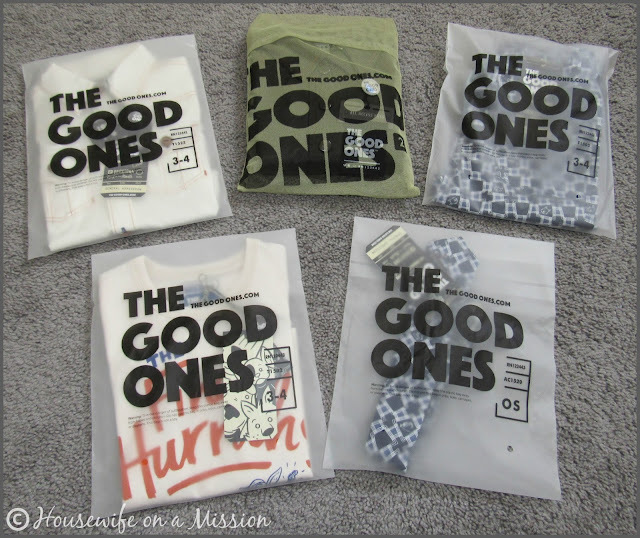 The Good Ones Clothing was founded in Spring 2012 in the beating heart of the Midwest. Started as a creative partnership—and a brand-new company—by the founders of One Lucky Guitar (a design & marketing boutique) and Matilda Jane Clothing, they exist to fulfill a pretty singular purpose: to create products celebrating the kids that light fireworks in our souls (adapted from thegoodones.com). Along some cute outfits, we were also sent a couple goodies-- a water bottle and The Final Hurrahs CD! 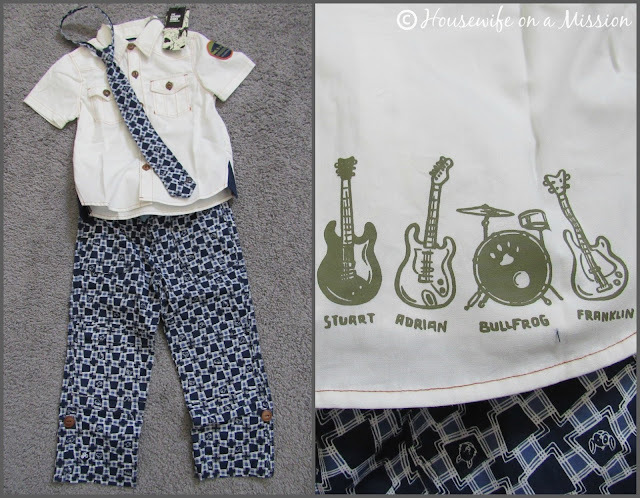 The first outfit pictured above is so stinkin cute! My son absolutely loves the tie, especially since it makes him more like daddy (daddy wears a tie everyday to work)! I like that the tie zips up and down for easy put on/take off, and will not choke or hurt my son. We received a size 3-4 in both the pants and shirt, and they fit true to size. My son turns 3 years old tomorrow but has been wearing 3T for a few months now. I was at first worried the pants were going to be way too long on him and they were. I quickly realized the pants roll up and stay up with a button on each pant leg. I love them all the more rolled up and think they look so stinkin cute on my son. They're light, breathable and are overall comfy to wear and play in. 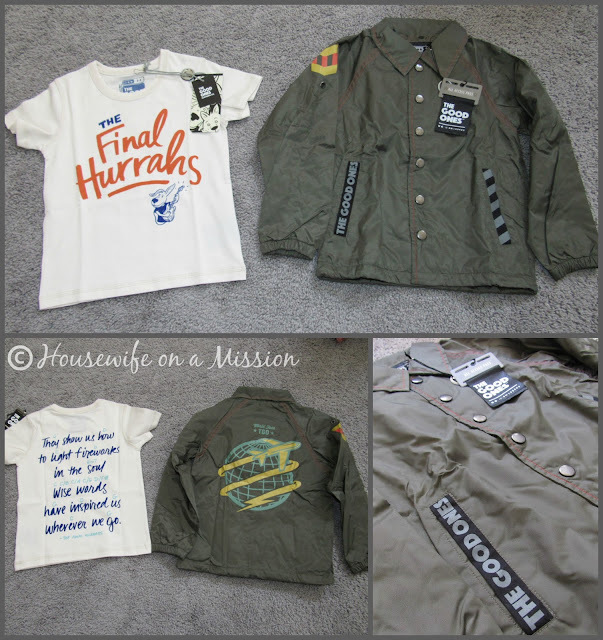 I really love the tee and jacket we were sent as well! The tee is so soft and features lyrics from The Final Hurrahs song "Wise Words". The Jacket is awesome, I love the color and that the buttons snap shut, making it easier on my son to button and unbutton. I love the overall look and feel of the jacket, and my son loves it too! It is a tad bit big on him right now (it's a size 4), but he'll grow into it in no time. 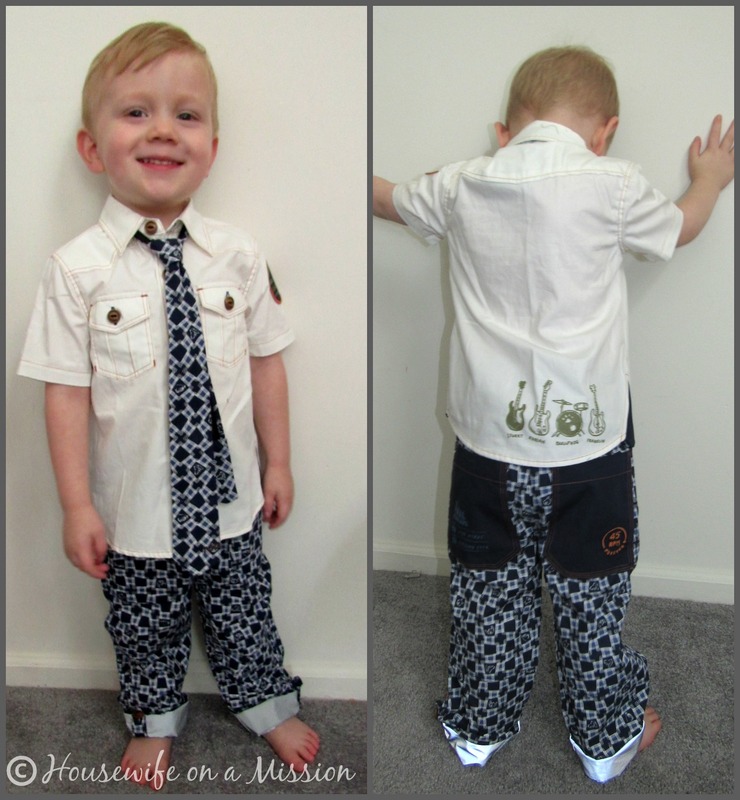 My son loves all the clothes he was sent, and this mom approves! The quality of the clothing is great and I can tell is made to last. I can't wait for The Good Ones to add more clothing items to their collection! Head on over to The Good Ones to start shopping today! Stay connected with The Good Ones on Facebook, Twitter and Pinterest. 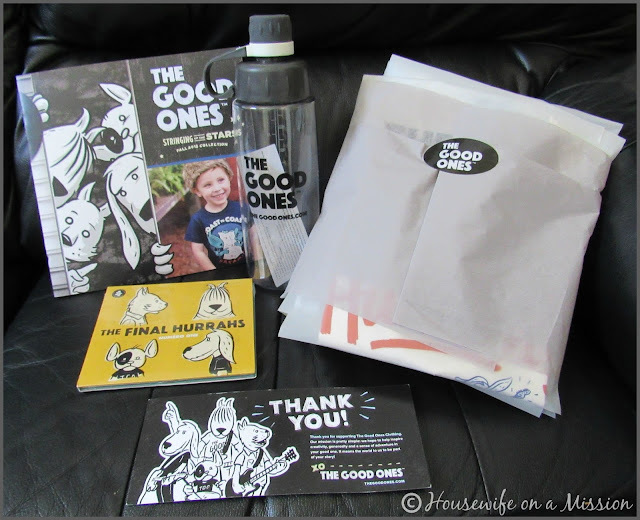 One of our readers are going to win a $50 gift code to The Good Ones! *Disclosure: Winner will be drawn at random, emailed, and have 48 hours to respond to claim their prize. Facebook, Twitter, Pinterest, and any other social media are not affiliated with this giveaway. I would love to win for my grandsons, these clothes are so cute, thanks!